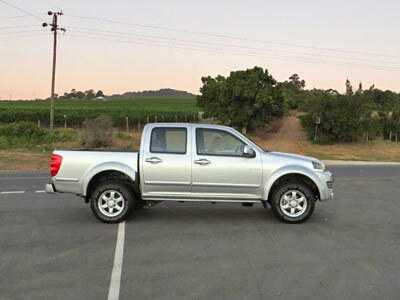 GWM have introduced a new, bigger leisure double cab bakkie as flagship, the Steed 6. A full road test will follow in due course. The Steed 5 remains in the line-up as a workhorse single cab bakkie, but getting a new 2.0 turbodiesel engine. GWM have upgraded the smaller (normal) Steed 5 double cab to the Steed 5 E, which now comes in two models, the basic SX and the Xscape which adds leather upholstery, a touch-screen media system with Bluetooth, rear diff-lock, side steps, roll bar and tyre pressure monitoring. The biggest difference in the new Steed 5 E is the nose. It looks really good. 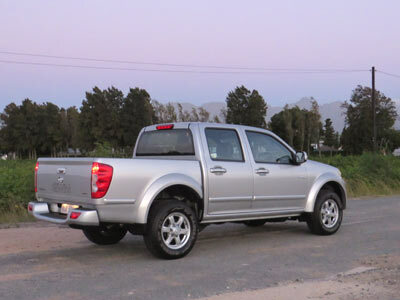 The Steed 5E Double Cab 2,0 VGT SX is now a good looking, well equipped bakkie, and comes with climate control, radio/CD with USB support, dual front airbags and ABS/EBD as standard. Changes include a new aerial built into the windscreen (very effective) , quieter and more effective windscreen wipers, integrated side indicators, extra sound-insulation around the cabin and revised rear seat cushions. These bakkies appear to be well put together. No dust, no squeaks or rattles and everything opens and closes properly. The cabin feels well appointed and quiet in a bakkie context. A strange omission is no clock and I missed a simple trip data display with fuel consumption and the like. The ride when empty is a little skittish but very similar to the previous Isuzu KB. 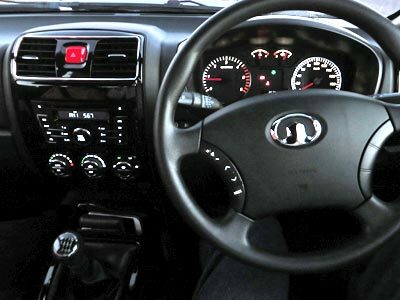 Steering is very direct and light but not unpleasantly so. The gearbox, clutch set-up is very good and smooth, a real pleasure and easy to use. They claim a fuel consumption of 8.3 litres/100km. I got around 9. So its on a par with the best. If you want a smaller double cab, you must test drive the 5 E. Also look at the Nissan NP300, Mitsubishi Triton and outgoing Toyota HiLux. The cost of the service plan needs to be confirmed with your dealer. A 4×4 version of the Xscape will be available soon. Warranties are really good. Manufacturer’s warranty is for 5 years or 100 000 km, while the corrosion guarantee is 10 years and unlimited km. As tested R259 900. The 4×4 is R289 900. The bigger Steed 6 Double Cab 2,0 VGT SX costs R294 900. 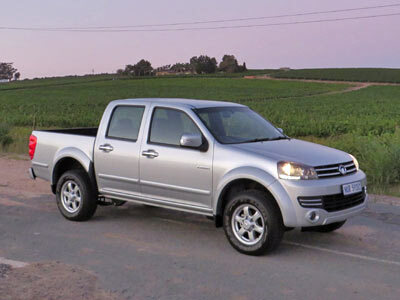 This entry was posted in Reviews and tagged bakkie, diesel, double cab, GWM, manual, Review, South Africa, Steed, turbo. Bookmark the permalink.